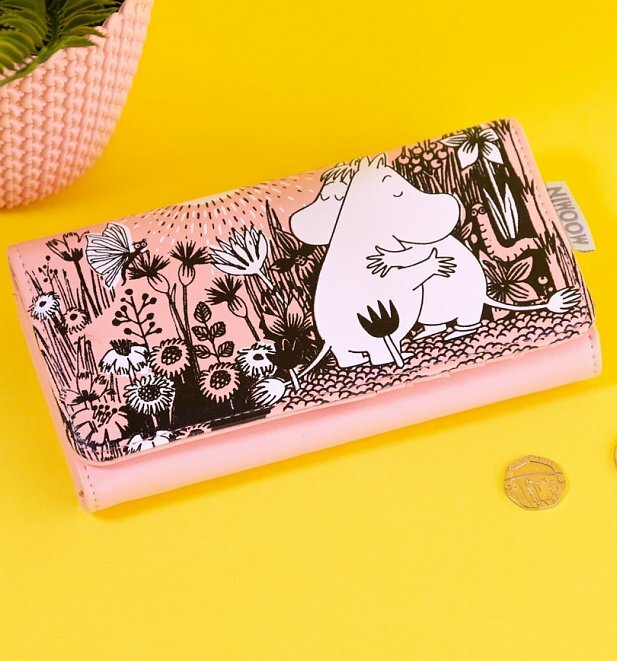 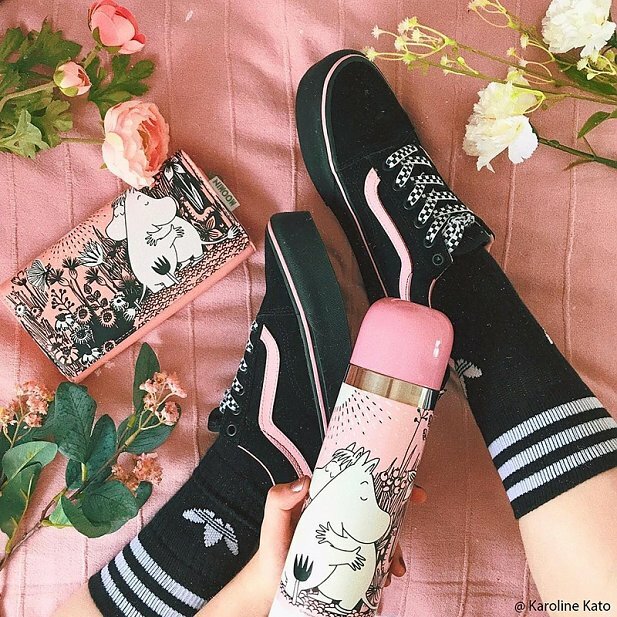 If, like us, you have fond memories of the carefree, white, hippo-esque creatures who lived in Moomin- valley, this pastel pink wallet is sure to make you go awwwww! 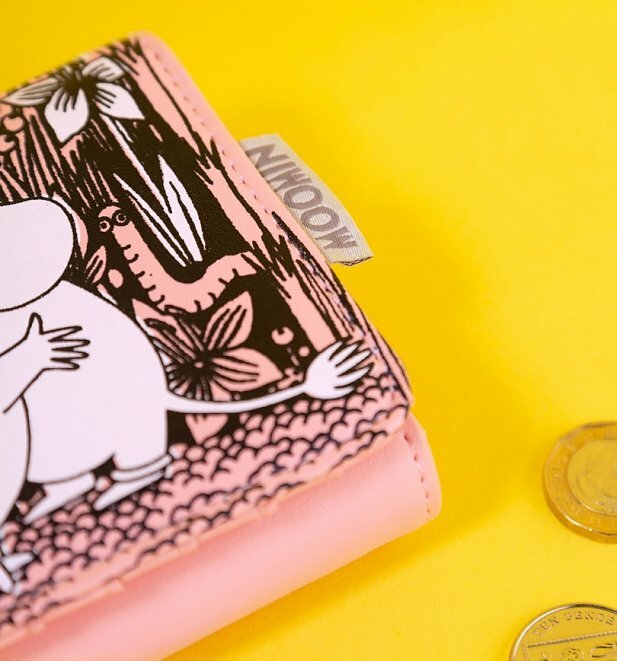 Decorated with a classic print of Tove Jansson's iconic characters, it's got tonnes of space for all your essentials and is topped off with a Moomins zipper charm on the back! 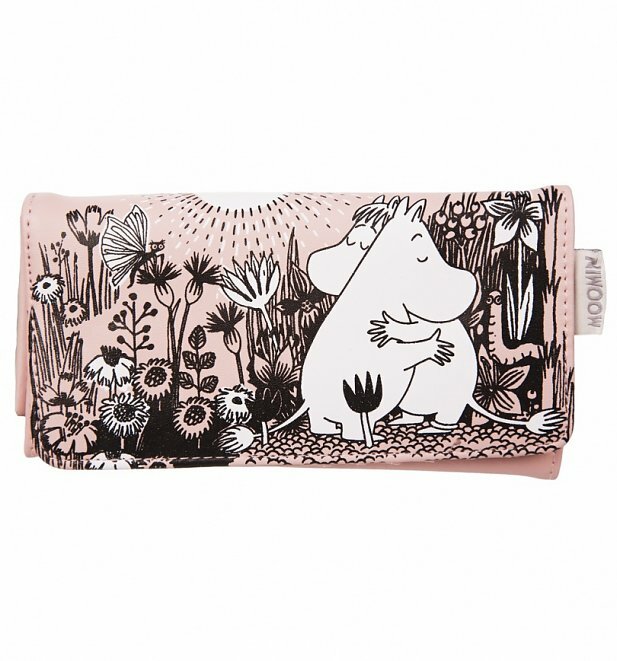 Ultra cute and kitsch! 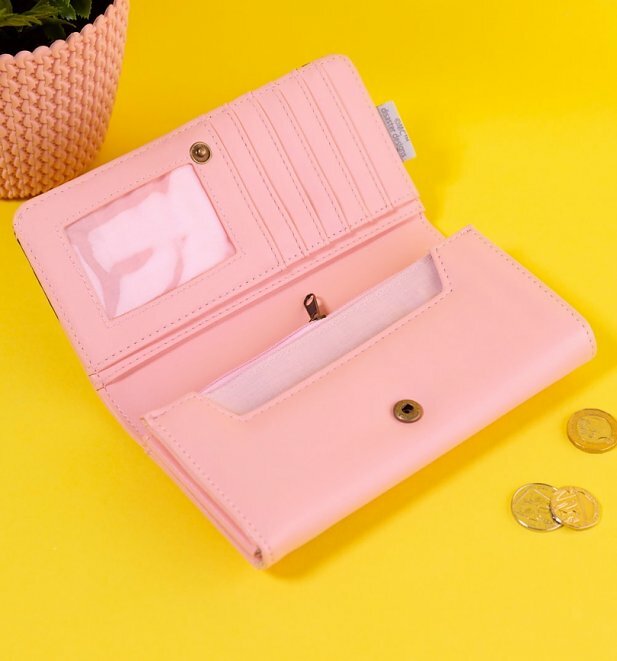 - Opens up to reveal two note slots, two large inner sleeve pockets and 6 card slots. 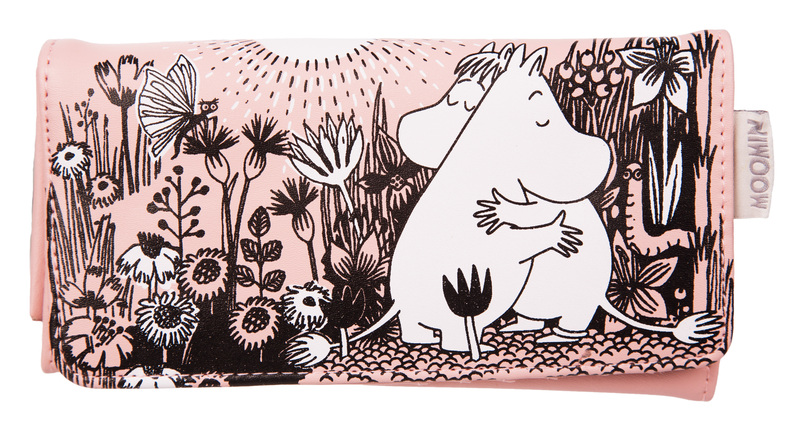 - Closes with a popper fastening. 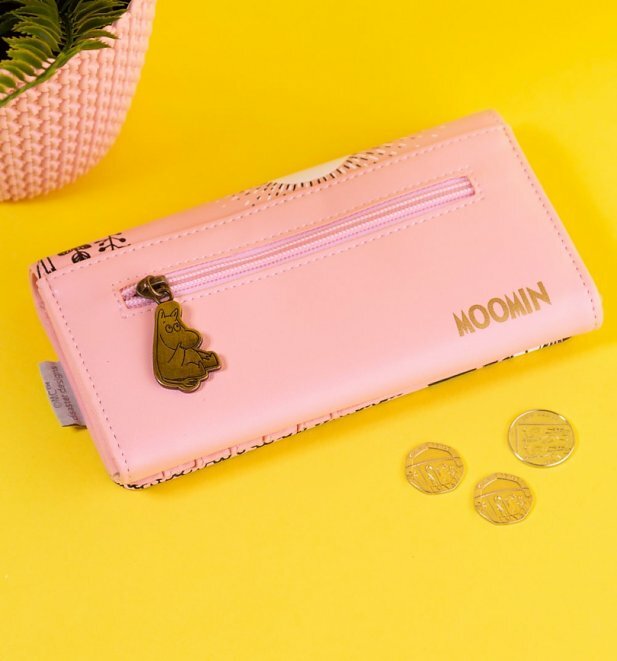 Review: I love the pink Moomin purse !